This lovely wreath will make any home that much more festive. With a variety of berries, pine cones, and other festive elements, this wreath will perfectly compliment the rest of your holiday decor. 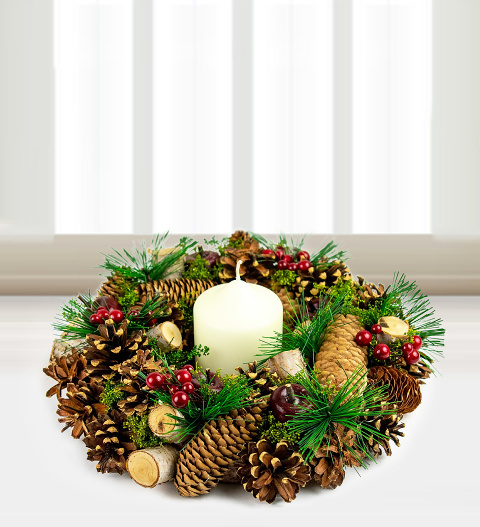 For Christmas, send this artificial wreath and candle that any happy recipient will enjoy year after year.